Increasing maturity of oil and gas assets heading towards end of life pose additional challenges for management of integrity into life extension and on into decommissioning. Striking a balance between low cost maintenance and assuring sufficient integrity for safe decommissioning is a complex process that requires a robust understanding of condition, degradation and future loading conditions. Astrimar specialist reliability engineers have established risk and reliability expertise supporting assets into late life operations, as well as the technology decisions and risk management for plugging, abandonment and decommissioning. Late Life Integrity and Life Extension Integrity is achieved when asset teams successfully assess, manage and mitigate each critical failure mode, through an understanding of the risk-based cost benefit of carrying out more or less inspection and maintenance, in the light of ongoing degradation and the need for a minimum level of residual integrity to facilitate decommissioning. 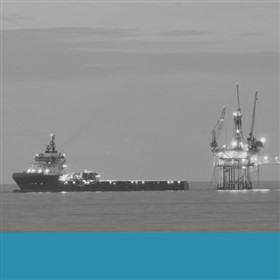 Moving into planning for decommissioning, Astrimar utilise best practice methods to evaluate the technical risks associated with different decommissioning options, including the use of Technical Risk Categorization, Fault Trees and Event Trees, to support risk-based decision making and option selection. Developing a robust understanding of the selected decommissioning process and the potential failure modes that may occur through the implementation of the decommissioning program, is a core activity based on reliability engineering principles. This rigorous evaluation provides assurance of risk management through the decommissioning process. New technologies for plugging, abandonment and decommissioning are being developed at great pace to meet the needs of the industry. The performance and life requirements, for example for plugging technologies, go beyond what can be qualified in simple lab or factory qualification tests. Astrimar uses best practice qualification processes to understand, analyse and test the technology to provide traceable assurance that systems are qualified through a detailed understanding of all service demands, performance requirements and potential failure mechanisms.